Chinese tourists spent $215 billion overseas last year - $10 billion that went towards overseas medical tourism alone. China is on the rise to become one of the world’s largest outbound medical tourism markets, and this trend for future Chinese demand is set to drive the global market for medical tourism up to $678.5 billion by 2017 – an impressive 54.7% growth from the $438.6 billion charted in 2015. Chinese residents, spurred by rising income and growing awareness are increasingly demanding better quality private healthcare, a key factor underpinning Boston Consulting Group’s forecast that private health insurance spending in China will grow to RMB 1.1 trillion in 2020 from last year’s RMB 241 billion. China’s population is ageing fast, which means more and more Chinese are discovering serious health problems that comes along with old age. Considering there will be more than 250 million urban households that are classed as middle class by 2020 this will further fuel the demand of foreign medical care. While China’s super wealthy HNWI favour the US or Europe for medical holidays, China’s middle-class prefer more affordable treatment options in South Korea, Singapore, or Thailand. 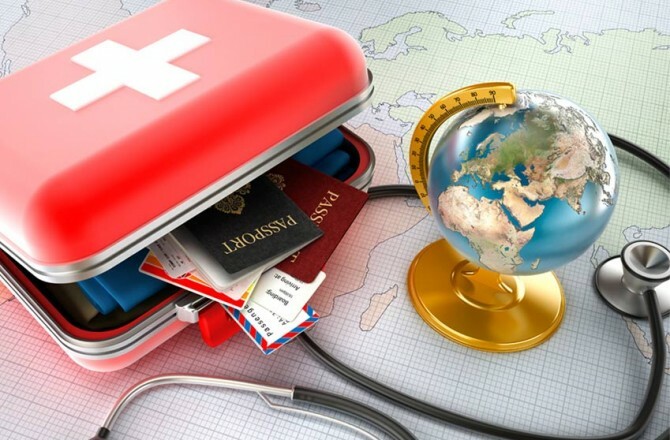 With four hospitals ranking in the top ten facilities in the world, combined with extensive travel links between China and US cities, and recent visa policy changes to quicken visa application processes, it’s no surprise why the US dominates as one of the most popular destinations for Chinese seeking medical treatment abroad. At just a mere 2-3 hours away by plane and offering increasingly liberalised visas for Chinese visitors, Japan is a highly-accessible and popular medical tourism destination for Chinese, especially for standard health checks. Japan invests heavily in its health system, hence its health system is not only one of the world’s best equipped and most cost-effective, but also one of the most fastidious and reliable ones. This makes Japan highly attractive to Chinese patients – many who are jaded with China’s tenuous medical offerings – which explains the 310,00 Chinese medical tourists expected to visit Japan by 2020. Boasting first-rate medical facilities Germany is ranked as the fifth-best medical system in the world by the US-based Commonwealth Foundation. Germany is also home to the second-best medical facilities in the world, as voted by Medical Tourism Index, and this largely due to the fact that the German government is the second-largest investor in healthcare among the countries in the OECD. Ranked top out of 11 of the world’s wealthiest countries in a study by the US-based Commonwealth Foundation, the UK healthcare system is a huge draw for Chinese medical tourists, particularly for those in search for liver transplants. 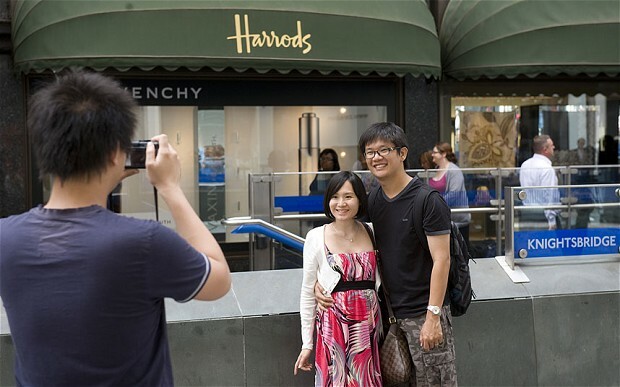 Besides that, its quality of care, efficiency, and low cost at the point of service are also other factors attracting Chinese medical tourists to the UK – now even more so with the pound’s depreciation post-Brexit. Proximity, cultural and language similarities, as well as great food make Singapore a popular option for Chinese medical tourists. Singapore’s excellent facilities are made even more compelling by Singapore’s move to relax visa requirements for Chinese travellers - 9,000 Chinese medical tourists ventured to the Lion City in 2015 for treatment. Excellent and fast-growing range of medical facilities have rendered Thailand as one of the biggest medical tourism markets in the world, attracting an astonishing 2.81 million overseas patients in 2015. A big reason can be attributed to the Bumrungrad Hospital in Bangkok, which not only offers a range of premier and VIP suites and 24-hour hotline service, but even provides an embassy contact service, a visa application assistance service, reception service, and airport transfer service, making it a luxury medical experience. Having received approximately 7,500 Chinese customers in the past year, Bumrungrad Hospital added a ward staffed by Chinese speakers, adding to a customer base that has been growing at approximately 25% per year. A favourite for Chinese medical tourists seeking cosmetic surgery, South Korea’s medical tourism drive, including specialised medical visas for foreign patients, saw 56,000 Chinese medical tourists visits in 2014. Last year, that number surged to 179,000 Chinese patients, who spent $1 billion on hospital fees, accommodation, and travel in South Korea, making Chinese the largest group of foreign patients in South Korea. Low cost, increasingly accessibility, and with an expanding range of private hospital chains like Fortis, Appollo, and Max, India is currently ranked as the top country in the world by Medical Tourism Index This is especially so for those seeking treatment for diseases, such as Hepatitis C and malaria. Sources: Caixin, Boston Consulting Group. At first sight the Chinese domestic airline industry does not seem too different from those of America or Europe: a few players dominating the market, regional airlines and burgeoning low-cost carriers. However, further examination reveals a typical trait of the Chinese economy prevalent in the aviation industry as well - it is mostly state controlled. The main Chinese airlines, Air China, China Eastern and China Southern, not only control 80% of the market, but are also owned by different branches of the central and local governments despite being listed on various stock exchanges. All of the companies are forced to compete, but the “Big 3” can be suspected to prefer to do so with each other, rather than “outsiders”. Air China, China Southern and China Eastern have all posted comparable results for 2013 and the first quarter of 2014, citing similar reasons for their declining profits: lower yields, harsher competition from regional and low-cost carriers, declining numbers of premium travelers and depreciating Renminbi. All carriers face, essentially, the same problems as their operations are based on a similar model - an international hub with few secondary hubs and an extensive network within Mainland China (which they are subsidized to fly). According to the Civil Aviation Administration of China (CAAC), in 2013, the three airlines altogether officially received subsidies of 433 million Chinese Renminbi ($69.25 million) from the central government in Beijing, theoretically modest compared with other Chinese industries. However, because local governments of smaller cities want to maintain direct flights to the main economic centers of China, they therefore provide airlines with generous support, which accounts for the lion’s share of the industry’s subsidies. China's skies are becoming ever more crowded, making for constant delays. Anyone who has recently taken a domestic flight in China has experienced the frustration of sitting on an aircraft waiting to depart. Poor air traffic control and lack of capacity at the airports are cited for this phenomenon, but the main reason remains the military’s reluctance to allow commercial airlines to use its restricted airspace for weather diversions. Changes are being implemented and airlines will be allowed to change their flight path from this summer in Northern China, if there are dangerous weather conditions. However, further improvement will take time, since PLAAF will be slow to yield its authority to the commercial aviation. Although the delays cannot usually be blamed on carriers, the service passengers receive still leaves a lot to be desired. Often, passengers are forced to wait for hours in an aircraft without any explanation or information as to the delay. In numerous cases this has lead to passenger protests and sit-ins. The authorities, not oblivious to these protests, have directed the airlines to provide greater levels of customer service to passengers in case of delays. However, other aspects of the flight experience have improved significantly in the last few years, enhanced by new aircraft orders coming into service. Another trait shared by all three airlines is debt structure. Almost all debts held by the “big three” are denominated in US dollars; hence any Renminbi movement against the USD can significantly affect companies’ financial results. Despite these problems, the main question remains, how will “the big three” continue to expand after the recent slowing in the Chinese economy and will they be able to turn a profit without Government subsidies. China National Aviation Corporation (Air China Group). Although Air China itself is a smaller airline compared with its main rivals, China Eastern and China Southern, Air China Group is as big as the other three carriers combined. It has a 100% stake in Air China, majority ownership of Shenzhen Airlines, Shandong Airlines, Air Macau, Dalian Airlines, as well as a 30% share in Cathay Pacific (Hong Kong airline holds a 20% investment in Air China). The Group has 497 aircraft, with the majority flying under the Air China, Shenzhen Airlines and Shandong Airlines brands. Air China’s main hub is Beijing Capital Airport, while its secondary hubs are Chengdu and Shanghai Pudong airports. Revenue has decreased in the core market of Greater China as well as Korea and Japan. Net profit might have turned into loss if not for a Renminbi appreciation against the US dollar. According to CAAC, Air China (the airline) has received a relatively small, 10 million CNY ($1.6 million) subsidy from regional CAACs for flying regional routes and improving accessibility of less economically developed cities. However in reality, according to some reports, the airline received 1.28 billion CNY ($204 million) from local governments. Moreover, this number could actually be higher, since the real data about state subsidies is not made public. Air China expects a 65% decrease in profits for the 1st quarter of 2014, mainly due to the weakening Renminbi. Moreover, a few days ago, the airline’s Chinese pilots published a public letter demanding equal pay with foreign pilots, reduced hours and better working conditions. 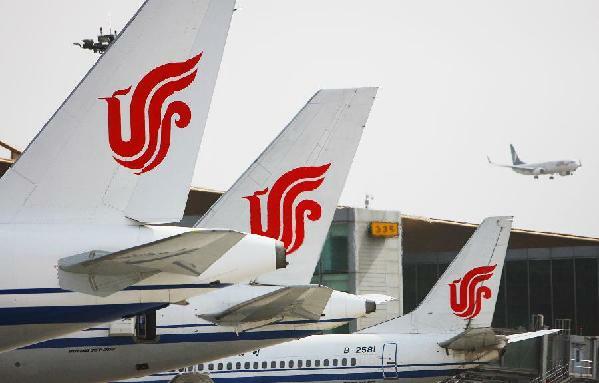 On a positive note, Germany's Lufthansa has expressed an interest in a possible joint venture with Air China, but stressed tough negotiations lie ahead before any concrete results can be achieved. Air China has recently started testing free Wi-Fi on its Beijing-Chengdu route and expects to gradually expand this to other flights. This company is the largest airline in Asia, by number of destinations. Both Shanghai airports serve as the airline’s principal hubs, while it has secondary hubs in Xi’an and Kunming. China Eastern subsidiaries are Shanghai Airlines, and a recently announced joint venture with Qantas - Jet Star Hong Kong. The total size of China Eastern Airlines and its subsidiaries fleet are 478 aircraft. In an example of the industry’s close ties, CNAC (Air China) owns 11% of China Eastern holdings. Also it successfully derailed Singapore Airlines’ bid for 24% in CEA in 2008, in order to prevent it from entering the Chinese domestic market. The company blamed the decline in business/first class passengers and lower yields for its recent poor performance. China Eastern’s debt structure must be examined, since it is representative of all the “Big Three's” balance sheets. More than 95% of CEA’s 58.35 billion Renminbi debt is denominated in US dollars ($9.35 billion). Therefore, larger currency swings on the Forex Market result in a substantial impact on companies’ financial results. The Yuan’s appreciation against the dollar in 2013 helped China Eastern to remain profitable, but has been in reverse as of this year. Amongst the Chinese domestic airlines, CEA receives the biggest subsidy from the state. Although the official amount paid by local CAAC offices is only 110 million CNY ($17.6 million), the real subsidy is a lot higher, and should stand at about 1.7 billion Yuan ($2.7 billion). Recently, China Eastern placed an order for 70 Airbus A320NEO, fuel-efficient, short-haul aircraft, in order to increase the airline’s total capacity by 13 aircraft. The deal is estimated to be worth $6.4 billion. However, the company in its annual report states that the biggest challenge for the future is the rise of domestic low-cost carriers (Juneyao and Spring airlines both have their main hubs in Shanghai), encouraged by the 12th five-year plan. China Southern is the biggest carrier in Asia, by passenger numbers (91.79 million in 2013) and size of its fleet (561 aircraft). It operates from its main hub Guangzhou Baiyun international airport, with secondary hubs in Beijing, Chongqing and Urumqi. China Southern is also the world’s largest airline to receive a four star rating from IATA. Guangzhou airport is logistically convenient, since it lies in the center of popular routes, such as Australia-Europe, US-South East Asia, and East Asia-South East Asia. China Southern recently stated that it had reduced seat prices to increase its market share, due to increasing competition from the HSR network and regional and low-cost airlines. As in cases of Air China’s and China Eastern, its profits have received a boost from the strong Renminbi. China Southern is currently the only airline in the world to operate both Airbus A380 and the Boeing 787; and has a promising strategy, based on a large transit hub (with more intercontinental routes expected to be opened up, especially to the US and Europe). Although the airline’s officially-received-subsidy of ¥98.52 million ($15.8 million) does not reveal the full picture, it received much lower governmental support than its rivals. All in all, the “Big 3” face similar problems in both the short and long run: a slowing economy, fewer premium class travellers, China’s expanding HSR network and Renminbi currency fluctuations. As SOEs, they are continually fighting to increase efficiency and reduce waste whilst compelled to fly unprofitable routes for the “greater cause” of regional development. Regional carriers, most if which are subsidiaries of the “Big 3’s”, are used as a means to improve already fierce competition in the domestic market and develop the domestic industry. Shandong Airlines, subsidiary of Air China, recently reported a $4.6 billion order for 50 Boeing 737. However, the main challenge to the “Big 3” arises from the Chinese government’s intention to boost competition, especially through the low-cost carriers. These currently account for only 5% of the market, but airlines can expect this to only grow as infrastructure is put into place such as Beijing’s new low-cost terminal (due to open in 2018), the removal of caps on new aircraft purchases and minimum ticket prices, the building of new airports in 2nd, 3rd and 4th tier cities and the encouragement of financial institutions to deepen cooperation with them. The results should appear in the near future. Juneyao Airlines and Spring Airlines are planning to IPO in Shanghai, in order to fund their expansions, though the latter was suspended, after some uncertainty regarding its financial results. Jiuyuan, subsidiary of Juneyao, should commence operations from Guangzhou-Baiyun airport in August this year. Spring Airlines, which has been growing 20% annually for the last 10 years, continues to expand internationally not only by gaining slots on the routes like Shanghai - Taipei, but also by setting up a subsidiary in Japan. Jetstar Hong Kong, a subsidiary of China Eastern and Australian Qantas, should begin operation this or next year with 48 destinations in Mainland China. Hainan Airlines, the largest private airline in the country, has renamed its Chongqing-based subsidiary West Air, and turned it into a low-cost carrier. China’s domestic aviation market is only expected to grow in spite of the current economic slowdown. Whilst all three carriers are looking into possible joint ventures with Western carriers, a move that should improve Chinese companies’ management and operational efficiency, the domestic air travel market will grow with greater development and infrastructure coming into operation over the next few years. Market share will shift away form the larger SEOs towards the new players, whilst remaining under the aegis of the big three. China Brain will continue to report on this topic. China became the largest spender on international tourism globally in 2012, surpassing Germany and the United States, propelled by strong spending growth in 2011. China’s outbound tourism has been growing vigorously at an annual rate of ~15% over the past decade, which is much higher than that of the global market and the other BRIC countries. Whilst growing urbanization of various Chinese cities and their improved connectivity with the outer world have broadened the geographical market focus for the destination countries. Lastly Chinese tourists are proving to be a boom for the retail industry of the destination countries, as they account for the largest share of the global expenditure on tax-free shopping. The report found here as a PDF highlights the opportunities and trends associated with growth in the Chinese outbound travelers markets. The travel market in China currently represents $232 billion, with a domestic dominance. Research by Boston Consulting Group suggests that China will surpass Japan as the second‑largest travel and tourism market in the world by 2013. In 2011, 2.6 billion total trips were taken by Chinese, of which 70 million were to international locations. Rising disposable income and abolition of travel restrictions inside the country has led to a take off in domestic tourism. Relaxation of visa restrictions fuels growth for travel abroad. Visa processing for the USA grew by 46% from Oct 2011 to Mar 2012 compared to same period in 2010-2011. Digital Luxury Group and Luxury Society are proud to announce the launch of the World Luxury Index™ China Hotels, in a first-time partnership with Luxury Concierge China. Unveiling for the first time, a ranking and analysis of the most searched-for luxury hotel brands specifically in China, based on the unbiased search inputs coming from Google and Baidu. Our research examines over 65 brands, through 170 million+ searches, from 75 domestic and international locations. The most searched for hotel by Chinese travellers is Sheraton, capturing 13.58% of total luxury hotel searches. This is perhaps unsurprising as Sheraton was the first western hotel brand to operate in China when it launched in 1985. The brand currently has plans to open 12 new hotels across China in 2012, with plans to raise its Chinese portfolio to 80 properties by 2015. A look at the searches for Sheraton from the beginning of 2012 show a significant increase starting mid-January and continuing until mid-February. This is most likely an effect of the Chinese New Year, a popular time for travel. 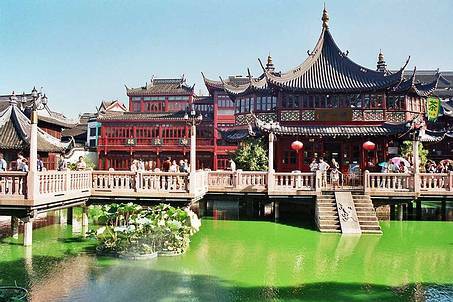 Top destinations during this period were Shanghai, Beijing, Dameisha & Chongqing. searched. These locales act as primary gateways to western and northern China, respectively. Hangzhou, known as “the Switzerland of China” beckons with lakes, mountains, and beautiful countryside (with tea plantations instead of vineyards). Leisure holidays to Sanya, Dameisha and Dalian are very popular due to their weather, nature and cuisine. Proximity, no language barrier and regular and direct flights make business and shopping hubs Hong Kong and Singapore top locations for Chinese travellers. Interest in travel to New York surges as China is set to become the largest inbound tourist market to the U.S. Dubai has become the most popular destination in the Middle East, as a stable and shopping–oriented city, benefiting from the “approved destination” status given by Chinese authorities in 2009. The full report is available online at: dlgr.com/chinahotels. More detailed data and analysis on a particular segment or brand is available upon request.